What is electric and hybrid car insurance? Is it cheaper to insure a hybrid car than a fully electric one? What insurance do I need for my EV? Is it going to get cheaper to insure an EV? Should I lease an electric car or wait? The rise in electric vehicles (EVs) and hybrid vehicles has been increasing for the past decade and is growing every month – whether that’s leasing or buying. Over the next few years, many drivers will make the change over to an electric of hybrid vehicle from a traditional combustion engine, with all the major manufacturers coming in with top-end options that boast strong range and excellent features. Unfortunately, the insurance sector is only just starting to catch up! Many people with an electric or hybrid car have simply opted to use their previous insurer without looking at the market to see what other options are out there, but are those traditional insurers doing everything they can to optimise their insurance for this new wave of vehicles? Specialist electric and hybrid car insurance does exist. It’s in the early stages, but with the growth in this subsection of the market exploding, expect some great deals to come! Do electric cars cost more to insure or is it cheaper to insure an electric car? The truth is, you are as likely to crash in an electric car as you are in a petrol one. Until self-driving becomes part of our every-day lives, the car is still in your control and performs in a near-identical way to similarly-designed combustion engine vehicles. Consequently, there are no mitigating factors in terms of driving that make electric or hybrid cars more expensive to insure in the UK. But the one factor that does change is the cost to repair an electric car. Unfortunately, this goes up. A company that focusses purely on the electric and hybrid car insurance market is going to do what it can to attract customers, and this means cheaper electric vehicles insurance. Working to bring costs of repairs down by building relationships with specialist garages and the EV car manufacturers, a specialist insurer is going to offer a better deal than your regular go-to car insurer. But it’s not all about the price. Car insurance is also about the level of service you get, from how you are treated on the phone to their ability to get you a replacement vehicle. If you have become used to driving green, are you really going to want your insurance company to furnish you with a petrol courtesy car while your main vehicle is off the road for repairs? Choosing to go with a specialist electric and hybrid car insurance company may well mean that the all-round experience is going to be substantially better than many of the bigger insurers. Hybrids have been around a little longer than pure electric cars. They have more in common with standard petrol vehicles and many repairs may be focussed around these shared features rather than the more specialist nature of an electric-only vehicle. Is a hybrid more expensive to insure in the UK than a standard vehicle? A little, but you will get a good enough deal from your standard insurer that you might not feel the need to hunt down that specialist company. Whether you have bought a brand-new electric car, or you are leasing one, our advice is the same – get fully comprehensive insurance. As detailed above, the costs of repairing an electric vehicle can be higher than those for a petrol or diesel alternative, and you don’t want to find yourself footing that bill yourself. In the case of a leased vehicle, having fully comprehensive insurance is a contractual obligation. Having the right level of insurance is very important, as is making sure you are completely honest and accurate with your insurance application. Estimate your mileage well, and if you plan to use your car for any sort of business purposes, make sure that you declare that, so that you don’t find yourself in a difficult position. Like specialist insurance, you may want to look into specialist electric vehicle breakdown cover (often from the same company), though this is less important. The two big breakdown services (the AA and RAC) have well-trained mechanics who come to your vehicle for most roadside recovery, and they keep up to date on automobile technology, including the ride of electric vehicles. If they can’t fix you at the roadside, then they’ll take you to a garage who can get you back on the road as soon as possible. Of course, make sure you have the right breakdown cover – it is not advisable to drive without it, even when driving a brand-new car that has little chance of giving you a problem. There’s always the chance a tyre could go or that you might overstretch the range and run out of power (both of which can be easily fixed by a roadside assistance call). Like all things, the more that a technology is adopted, the more the services around that technology become mainstream and cheaper. Despite the abundance of electric cars on UK roads today, it is still relatively new technology and some of the third-party companies are only now coming into line with their services. 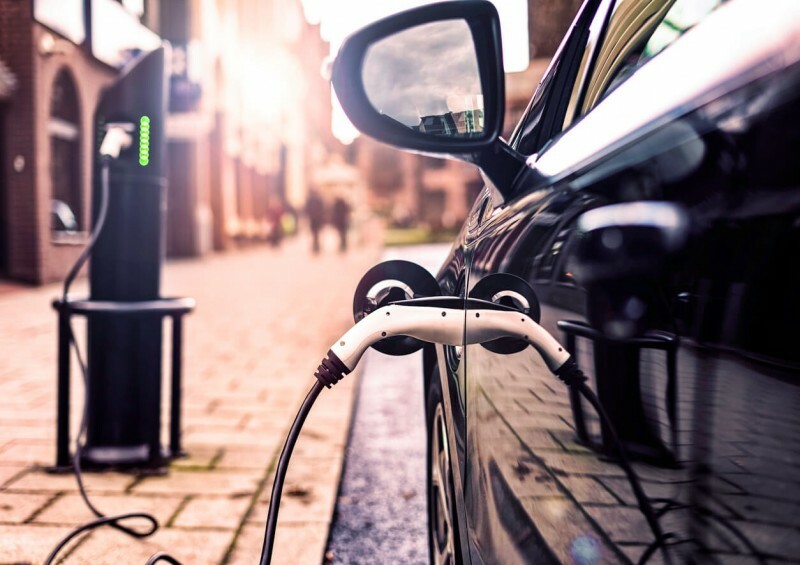 Over the next ten years, we are bound to see a huge increase in the services available for electric and hybrid cars, from more regular fast-charging spots through to competitive insurance deals that will save hundreds over the years. Now is a perfect time to get into the world of green driving. Electric cars have passed their early adoption phase where short ranges and low power put them as an option really only for those drivers who were desperate for the new technology. Top of the range modern electric vehicles today, like the latest BMW i3, have impressive driving ranges on a full battery, and come with all the finest technology, from the on-board entertainment system through to automatic parking and AI-enhanced driving aids. Once you’ve zoomed down the motorway in near silence, you’ll never want to go back to the background noise of the combustion engine! The savings on fuel costs, impressive cockpit, safety technology and smooth ride are all perfect adverts for moving to this next stage of driving. At Complete Leasing, we have an impressive range of electric and hybrid vehicles for you to choose from. Take a look at our selection or give us a call if you’d like to find out more – we’re always here and happy to help! Alternatively, feel free to get in touch with us on Facebook or Instagram.